We’ve got you covered when you need storm damage repair, a replacement roof or new construction roofing. Want to make sure what’s yours is yours? 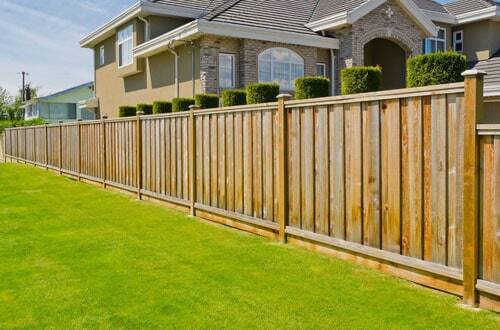 We specialize in wood, chain link, wrought iron and vinyl fencing to protect and enhance homes and businesses like yours. Prefer more than a fresh coat of paint? Upgrade your home and forget about painting when you choose vinyl or aluminum siding for years of maintenance-free beauty and durability. Ready to usher the water away? Your foundation and landscaping will thank you when you let us add beautiful, affordable rain gutters to your home or business. Do you have your ups and downs? If your garage door doesn’t go up and down with ease, doesn’t protect your home and possessions well or looks bad, we can provide expert repairs or a new garage door. We can provide new windows and doors that work better than your old ones, are more efficient and make your home safer and more appealing. Decided to kick it up a notch? Our remodeling professionals can update, improve and enhance the exterior of your property so it has better curb appeal – and feels more like home. With a new deck, patio, outdoor kitchen or other outdoor living upgrades to your home, you can expand the usable space on your property and get more from it. 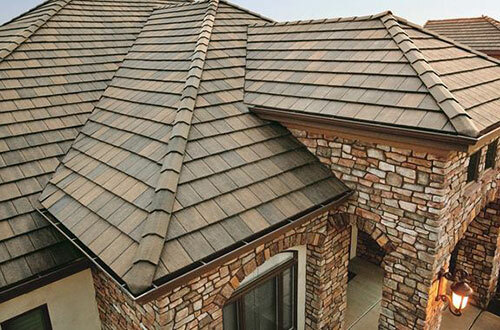 From protecting your home or business from wind and rain to adding usefulness and function while improving curb appeal, Exteriors, Roofing & Outdoor Living is committed to the exterior of your home or business in Dallas, Fort Worth, Mesquite, Sunnyvale, Grand Prairie – or anywhere in North Texas. You don’t have to know about the best brands and materials. We’ll help you make the right choices for performance and beauty. Plus, many products include warranties – so you get the most for your money. Our carefully trained and highly skilled professionals install every product to manufacturer specifications for maximum durability. And our experience means we know what works in North Texas – and what doesn’t. We employ great people and carefully background-check everyone we send to your home or business. Our team only includes people that you won’t mind having around your family, employees and customers. 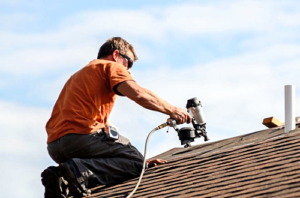 At Exteriors, Roofing & Outdoor Living, our mission is service to the homes and businesses of North Texas. We work with integrity and dedication, providing quality at every turn. As a family-owned and family-operated company, every interaction and decision is based on trust, respect and honesty. Our goal is total satisfaction for every customer, every day. Nothing else matters. We take service, quality and professionalism to the highest degree for you. From storm damage repair to complete reroofing and new construction roofing, we offer free estimates and honest opinions as well as fast, professional service. Wood, chain link, wrought iron and vinyl fencing are our specialties, plus we handle fence repairs and install automatic gates too – with speed and professionalism. Vinyl and aluminum siding are better than ever before – and our expert professional installation means you get years of beauty and performance for your home or business. Adding beauty to your home or business and protecting its foundation and landscaping, we have the right rain gutters for you – with great pricing and pro installation. Fast installation of your new garage door and expert repairs are our specialties, and we’re pleased to provide same-day emergency service when you need it. Window and door replacement can make your home safer, stand up better against the elements and look more beautiful – and options are available for every budget. Nothing lasts forever, and we can help you push aside the old by refreshing and renewing your home with professional remodeling service from a proven team of experts. Make your outdoor spaces a true part of your home with patio and deck additions, outdoor kitchens and more – expertly planned and installed by our team of pros. Chad and Tanjila were outstanding . Followed on sales, installation, and city inspection. Professional, Affordable and left me with a sense of confidence the job was done right. 3 man Installation team completed the work in no time. Would definitely recommend. Arrived promptly very courteous. Completed work on time and within the estimate. Very satisfied with the equipment and work done. Great company, reasonable prices, loyal to their customers. Recommend this company to everyone. The stand by their work. It's nice to see that now in days. Shane & his crew were very nice & did an excellent job on my install. They were very thorough & really explained everything in a way I could understand. I will definitely recommend them to all my friends.